Michael R. Tremains, M.D. is a graduate of the Medical College of Ohio. 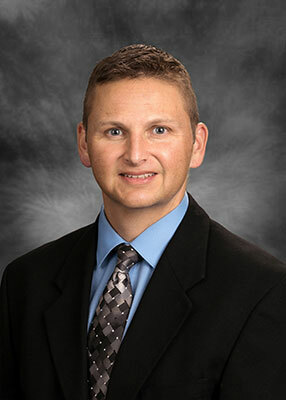 He completed his residency at the Medical College of Ohio in Toledo, Ohio and has been working in Findlay since 2002. Dr. Tremains has numerous publications in the orthopedic field. He is a board-certified physician in both general orthopedics and in sports medicine through the American Board of Orthopaedic Surgeons specializing in sports, hand and industrial related injuries. He is also a diplomat of the American Academy of Orthopedic Surgeons. Dr. Tremains specializes in minimally invasive surgery of the shoulder, knee as well as hand surgery. He performs over 90% of his rotator cuff surgeries arthroscopically. This minimally invasive procedure causes less pain and earlier return of strength than traditional procedures. Over 80% of Dr. Tremains’ surgical practice is performed with minimally invasive techniques. Recommendations for surgery are based on a patient’s pain and disability, not age. Rotator cuff repairs have been performed successfully at all ages, from the young athletes after traumatic injury, laborer secondary to repetitive use to the elderly patient with degenerative disease.